This black art crate is faux finished to look like it was made from old wooden planks. It is actually made of strong plywood and painted to look old. This is a classic illusion for magicians. The inside of the box has a hidden space, hidden through black art, and a trap door hidden in the top entering the other side of the box. 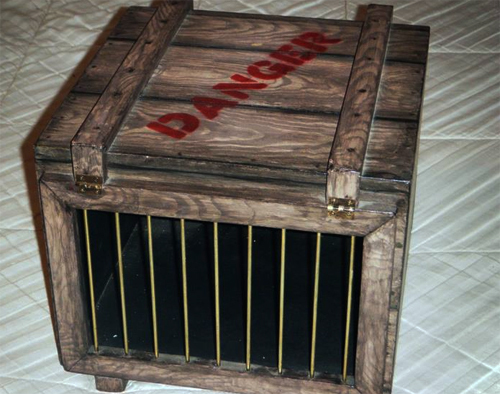 This illusion would allow a live animal to be dropped down the trapdoor in order to vanish. Then drop down back into the cage to reappear. 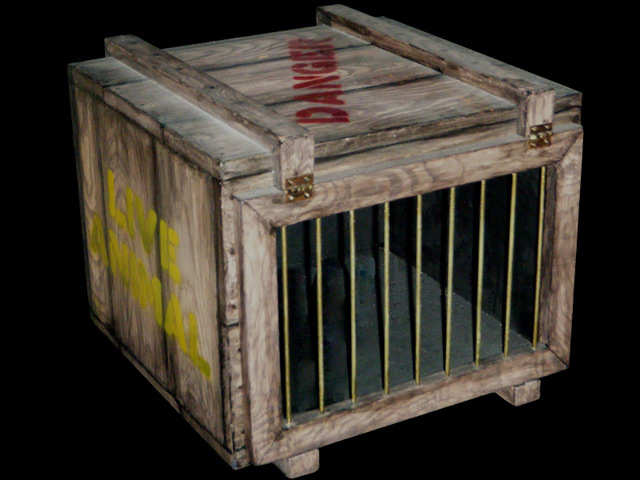 This crate was used to vanish and reappear a live hedgehog. At one time there was a motor that would remotely pull out the pin to drop the hedgehog back inside.